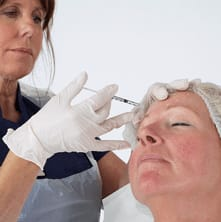 A thread lift is a minimally invasive, rejuvenating treatment that uses specialised surgical threads to lift sagging skin, giving a tighter, more youthful appearance. The threads are made from Polylactic acid, a naturally occurring substance that has been used in medicine for over 25 years. The Polylatic threads are inserted into the subcutaneous tissue, which is 5mm underneath the skin’s surface, and boast a special patented design. Over time they gradually stimulate collagen production to restore facial volume and smooth out deep lines and wrinkles. You will enjoy a dual effect following your Thread Lift treatment, first you will see an instant 1-2cm lift created by the threads. Then six to eight weeks after your treatment you will see a rejuvenating effect due to increased production of collagen, which is caused by the breakdown of the thread. The threads are completely biodegradable and will be safely absorbed by the body over ten to eleven months. Save 25% For A Limited Time Only! HOW DOES A THREAD LIFT TREATMENT FEEL? You may experience some mild discomfort during your Thread Lift, however a local anaesthetic will be used to minimise any pain caused and to prevent any soreness. The treatment can last up to 18 months. Factors such as exposure to the sun and lifestyle choices may affect how long results last. An ongoing effective daily skincare regime is crucial to help promote and achieve optimum results. Wear a minimum of SPF 30 daily to help protect your skin against sun damage and ageing. It’s not recommended to undergo any treatments on your face or dental treatment during the week following your treatment. Any contact sports should also be avoided for the first few weeks and if possible sleep on your back to avoid complications. 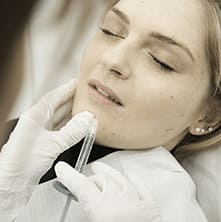 You may experience some light bruising, puckering of the skin, dimples from the entry points of the threads, swelling or redness after the treatment, however these side effects are completely normal and will subside on their own within a few days. In the event of pain, take a pain reliever as advised by your doctor. Thread Lifts are completely safe when performed by a specially trained doctor. We employ some of the best doctors in the UK, each of whom are trained to the highest standard in the industry. WHERE IS THREAD LIFT TREATMENT AVAILABLE? I was very pleased with the results of my procedure and my practitioner was very reassuring and knowledgeable.